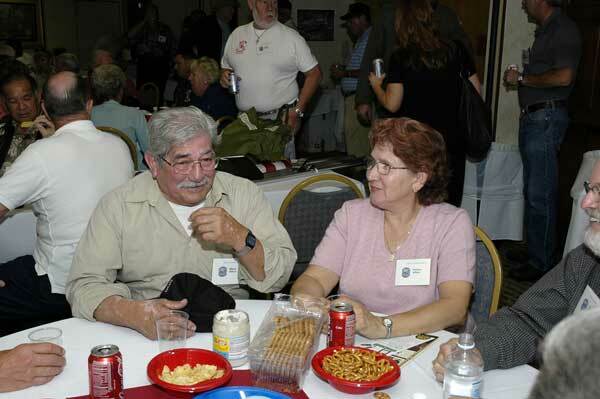 Mario and Thelma Alfaro (Phan Rang flightline) enjoy refreshments and friendship at the reunion's 'hooch'. 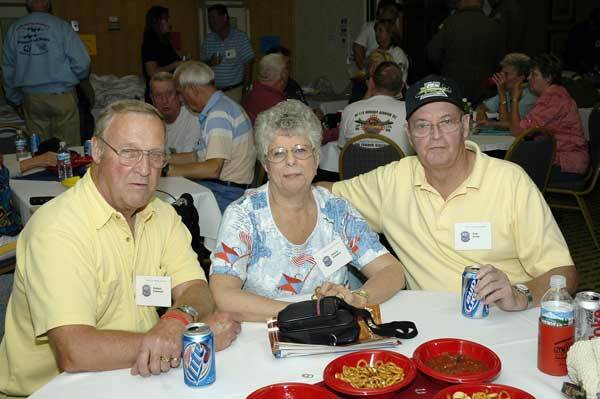 The 'hooch' is the social gathering place for refreshments, BX items, and private memorabilia items for display. 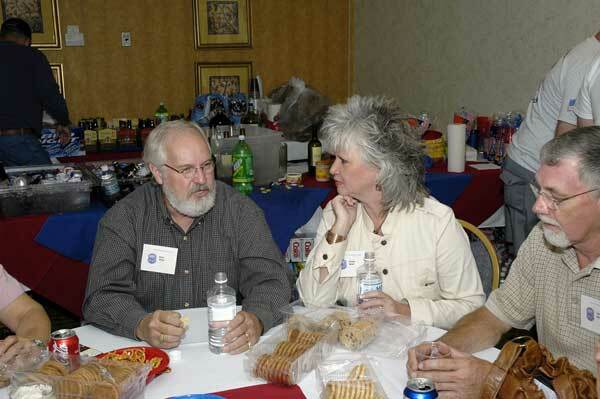 It is always THE gathering place at each reunion. Earl and Dixie Wall and Jerry McDonald conduct their own 'hangar flying. 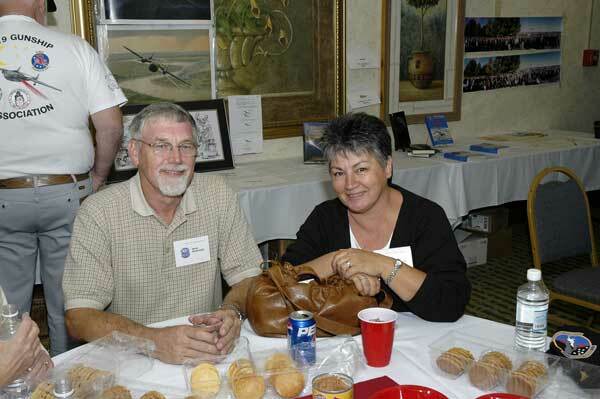 Jerry and Karen McDonald (Phan Rang flightline) will be the Reunion IX coordinators at Branson, MO in 2008. 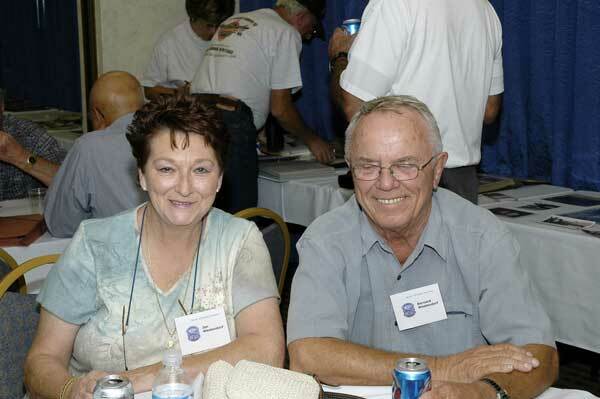 Bob and Marcia Eckstein (Flight Engineer, Al Heuss' crew, NHA), and Tom Jump, Engine Shop, NHA.